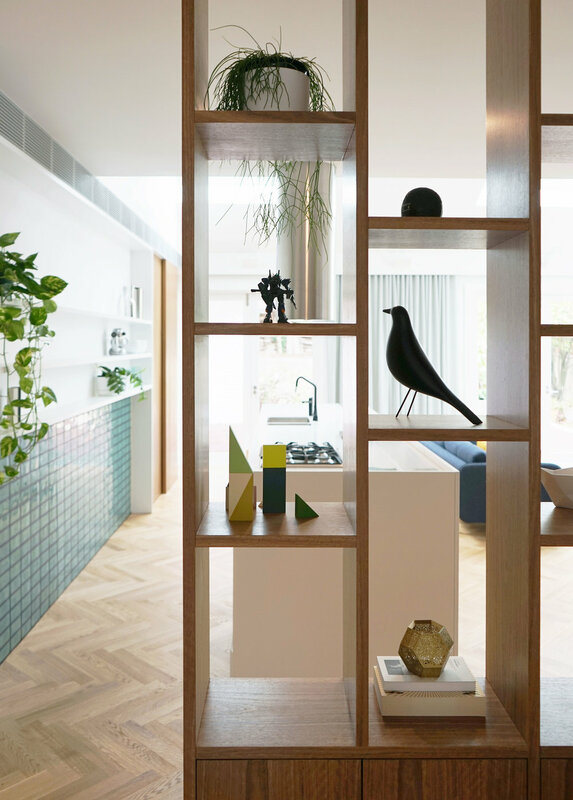 A discreet, robust and light filled renovation to a Mid-Century house for a family of five, Skylit House is a simple and deft alteration to a mid-century suburban bungalow in the bushy lower north shore suburb of Castlecrag. Skylit House offers a strategy to remedy the poor relationships, particularly of building to site, often prescribed by standard housing stock, by simple gestures of internal reconfiguration without requiring enormous expense or increased building fabric. By a process of removing, rather than adding, Skylit House brings natural daylight deep inside shared living spaces that open out to the surrounding landscape. Conceptually it is simply a 'coming together' space- both of people and site. The program is open and robust, offering space for family to share, enjoy a good meal and discuss the day.